At MODE AUDIO we build loudspeakers which are unique, not re-tooled versions of existing designs. Loudspeaker manufacturers typically make all sorts of claims for their products. Subjective superlatives and promises of performance abound! We are most certainly not following the crowd. We invite you to look inside our loudspeakers. MODE AUDIO designs cabinets like no one else. Our specifications are confirmed by an independent lab.The technology alone is not enough. Hearing is true believing . Compare MODE AUDIO to the competition, and you decide how best to describe what you have heard! MODE AUDIO does things a little differently, so we continually invest in our own manufactures where we can monitor our process up close. And the difference doesn’t end there.We build every product by hand, to order.This allows us to produce a consistent product, and get it to you exactly as you need it, on time.We also validate everything we make by applying science and high-precision technology to verify the quality and accuracy of each and every component. We don’t only sell loudspeakers, MODE AUDIO provides real sound solutions! This includes us getting involved with your projects from design to high tech installations to the very last step in fine tuning the completed MODE AUDIO system to its best performance. MODE AUDIO believes in giving the most professional after sales technical support for all of our clients! Every MODE AUDIO product you purchase is backed up by the most thorough and knowledgeable customer technical service support.When we deliver our products to our customers, we see that as the beginning of our professional relationship, not the end! LSM® Horn MODE AUDIO’s patented line source HF wave guide. MODE AUDIO is striving to make its mark in the global sound industry. Being close to our customers to make sure sound professionals everywhere understand everything about our products and applications.We have learned that for our users, simple questions become difficult when the answer is half a world away. But when products and help are available in the local time zone and language, challenges don’t feel quite so daunting.We’re always up to something new, so, rather than simply allowing information on new technologies and products to filter slowly to other parts of the world, Mode Audio has opened sales and support offices around the globe, including North America, Mexico Europe, China and others opening soon. 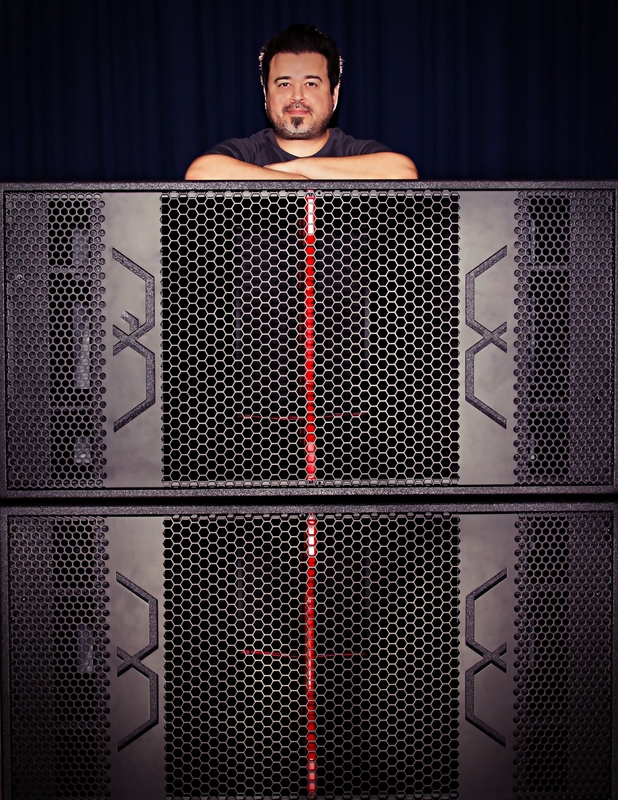 Mode Audio was founded by Ruben Rodriguez in 2012 and built a Class A acoustical sound engineering team. Ruben has a long history of more then 20 years of professional experience and knowledge working with some of the most demanding international sound companies, artists and world class entertainment companies. He has collaborated and consulted for many top professional sound manufactures in the USA and Germany. Ruben was also the original creator and co-founder of VUE AUDIOTECHNIK which is now operating worldwide under it’s new ownership. His designs are being use every day by the most demanding sound engineers in the industry. Ruben wanted to develop more unique hight quality sound systems than what he has done before with no limitations and thats how MODE AUDIO was born. Mode Audio has built a great reputation in a very short time and looking forward into the far future to keep on innovating and manufacture great sound products. 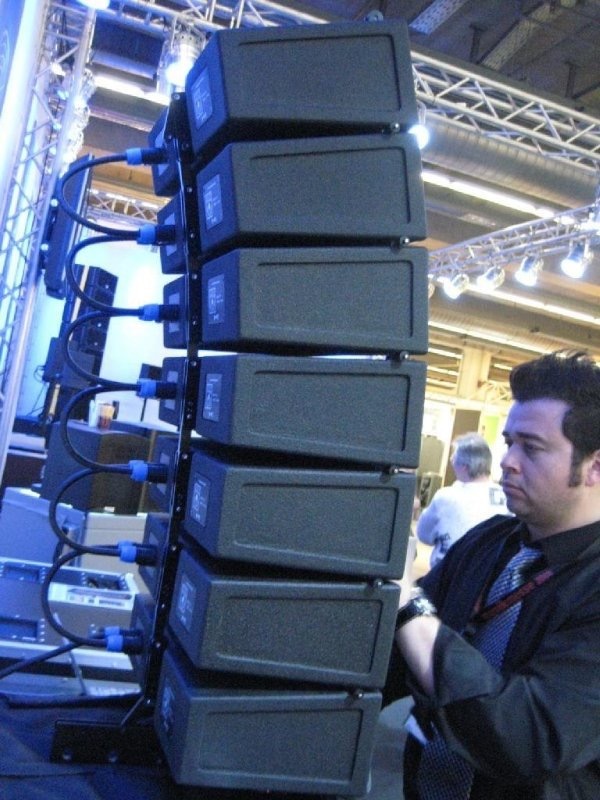 Ruben with the original V4 mini line array system. MODE AUDIO’s logo represents the graphic of a two-way audio crossover as well the M for MODE. Ruben with the MODE AUDIO / BPM-218 Ultra High power Subs.